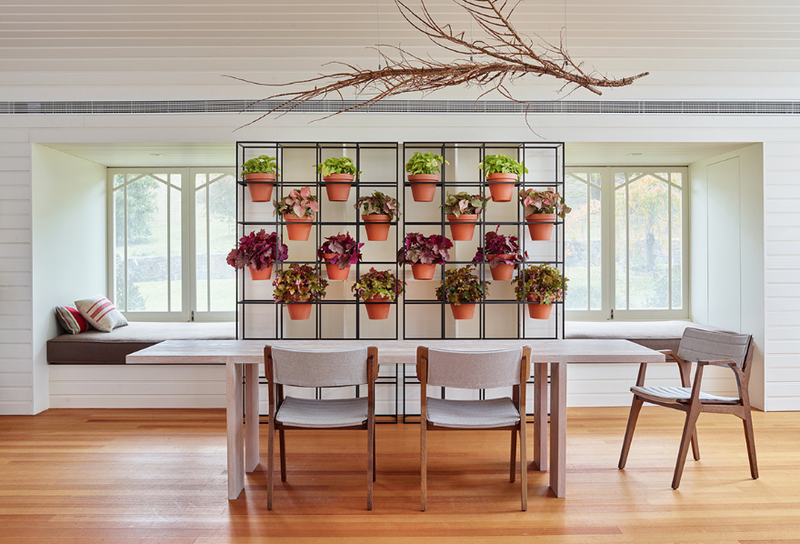 Above: Bakker’s Vertical Garden system for Schiavello creates a fresh green corner in the home. 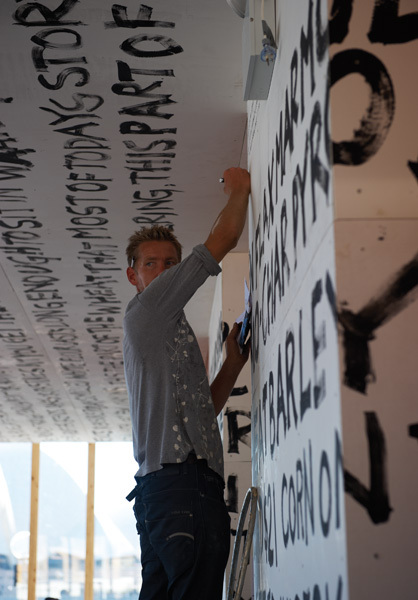 The prolific Joost Bakker wears many hats. As a sustainable restaurateur, influential botanical artist and leading designer, Bakker continues to advocate the potential of biophilic design, sharing his insights in the following Q+A. 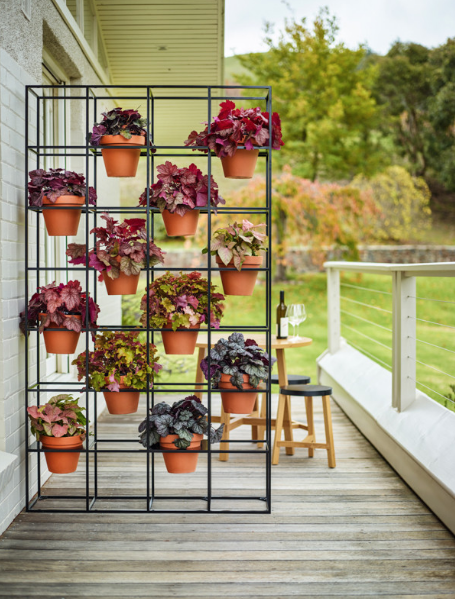 Tell us about your recent collaboration with Schiavello and the inspiration or idea behind the Vertical Garden. I believe plants should surround us in our homes and at work. My work has always been about bringing nature inside. As we spend more time inside away from nature I think it is more important then ever, it’s a primal link that subconsciously relaxes us. Even more importantly is that these plants are in soil. Soils become alive and filled with microbiology that is now known to act as a sink for indoor pollutants. With workplaces today having hundreds of different airborne chemicals present, plants in soil are natures perfect air purifier. 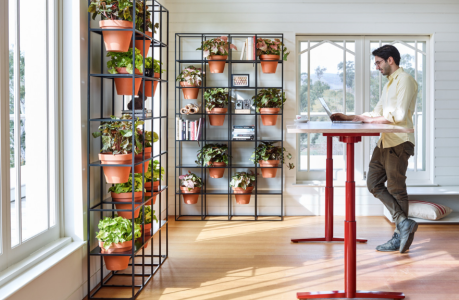 The new vertical gardens make it easier to surround ourselves with plants and allow many other uses to be integrated like storage or vertical gardens acting as walls or room dividers. Designed with symmetry and repetitive order like my other work these vertical gardens make for uncomplicated additions that allow the plant to be the hero. Architecture and design projects that bring nature into man-made spaces is becoming more prominent, what is the aim or purpose for Biophilic architecture or design? I think we are only scratching the surface when talking about the recent push to create Biophilic buildings. To me it just makes so much sense to incorporate nature into where we live, work and play. It’s where we generate ‘waste’. Organic waste is not waste at all; it provides nutrients and minerals as the basis for life. In the future I believe our buildings will integrate management of these waste streams into food systems that can grow a majority of our food, creating a whole new ‘very local’ food system. Plants need water, just one building in Melbourne – the Rialto tower discharges on average 400,000 litres of grey water a day. A lot of plants and a lot of food can be grown by utilising this current by-product. Using our infrastructure to create bio-diversity has so many benefits, for me this is the start of a very exciting time where Biophilic design will be considered crucial in all future buildings. Can you tell us about the benefits of Biophilic design, both for the environment and health and wellbeing? It is now known that plants (in particular the root zone of plants) and soil have a symbiotic relationship. Work by the CSIRO showed the uptake of formaldehyde by the bacteria and microorganisms in soil. This discovery has now made it clear that the true carbon sinks of the world are the forest floors and not the actual foliage and trees that are visible with our eyes. Healthy soil has more microorganism per tea spoon than human beings on this planet. In fact research in New York a few years ago found when rats were fed some of the bacteria found in healthy soils, the rats showed superior cognitive ability, navigating a maze in half the time and with less noticeable stress compared to rats that weren’t fed the bacterium. This research created global news with some scientists calling for ‘soil’ tablets to be made for our children because of the mass global movement of people away from regional areas and into cities. To me this research was no surprise. It’s always been clear to me that spending time in nature clears my mind and makes me feel good. A scientist confirming an increase in serotonin levels seemed like an oxymoron. What does nature based design mean for our future? I think nature based design is about thinking that ‘we’ humans are part of a much bigger picture. Creating designs that allow biodiversity to flourish is the future. We have neglected nature and the consequences are disastrous. We need to re-imagine our food system to stop the destruction of the last remaining ‘wilderness’ with our food system taking up two thirds of the worlds arable land and a constant hunger for ‘fresh’ nutrient loaded soils, especially in high rainfall areas like the tropics. Desertification is one the worlds biggest problems and I believe changing the way we live, changing the way we design our buildings and infrastructure hold the keys to taking pressure off our precious last remaining wilderness. In 2008 when I opened the Greenhouse as an example of what our buildings in the future could ‘produce’ it shocked many. ‘Imagine a building that grows food’, ‘Imagine a building that adds bio-diversity’ and ‘Productive Buildings’ were some of the slogans on staff t-shirts. A global drive by designers and architects excites me. The benefits to society in the future are huge. You are known for your plant-based installations and the emphasis of sustainable design principles in your work. What does sustainability mean to you and why does it feature so prominently in your work? When I started working in Melbourne in 1994 I was shocked by how disconnected people were. Chefs had no understanding of seasons, people were mostly disengaged with the natural world. This was the catalyst for me. I started creating installations that made people aware of what was happening ‘in the natural world’. Suspending trusses of tomatoes in late summer, blossom in early spring, inserting dead trees in the middle of a terrible drought. I purposely juxtaposed ‘man made’ with nature. I respect nature and never try to imitate it in my work, I believe we are human and all we can do is show nature the respect it deserves. This style of work is exemplified by the new vertical garden. Each square acting like a frame that surrounds a painting. Framing something truly magical. We humans will only become more appreciative as we spend more and more of our time in cities. A primal urge to be surrounded by nature. 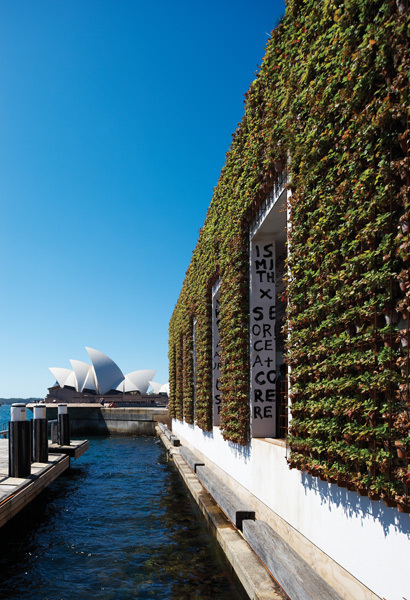 Joost Bakker’s new vertical garden is available exclusively at Schiavello.